I've been looking forward to this read-a-thon for over a month, but now with my impending move coming up next weekend, I'm not sure how much reading I will get done this weekend. Then again, this will be my last weekend to get ANY reading done since all next week we will be packing and then starting to move on Friday. So, I guess I'll read when I need to relax...it is the Time to Relax read-a-thon, after all! Right now, I'm only going to list a few books and then I may add more later. Are you in for a relaxing weekend of reading? Go HERE for details and to sign up. THE "NOT MY YEAR" IS OVER...BRING ON 2011! CAT THURSDAY & HAPPY NEW YEAR! 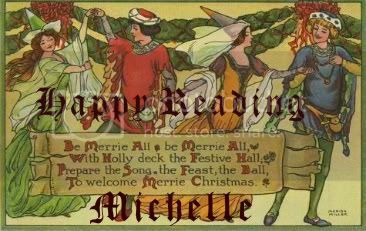 RANDOM MAGIC TOUR: WINTERLONG MUSICAL BLOG HOP!